Albert Katz and Kim (not yet a Katz) first met at UC Berkeley some time ago. Albert was studying California politics, and in particular the history and its use of water for irrigation - the 'seed' of his interest in small-scale farming. One thing lead to another, and after marriage and the arrival of our first daughter, we were opening our own restaurant - both of us in our mid twenties at the time. This was long before the Slow Food and sustainable food movement existed; yet much of our inspiration was being provided by Alice Waters at her groundbreaking Chez Panisse Restaurant in Berkeley, CA. We had a sensational run for ten years with our elegantly small dinner house serving 'local’ and seasonal foods influenced on a daily basis by what was available at ‘market.’ Here, Albert was able to hone his culinary skills during a period of rapid change in the American food scene, but time had given him the idea that our journey in the burgeoning food landscape was not complete. So off we went on an inspiring trip to Italy where we tasted many new things, but it was the olive oil that really excited Albert. 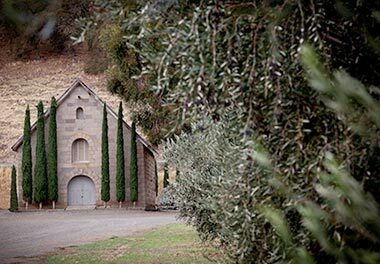 As luck would have it, the olive oil production in Northern California was just about to bloom and a large part of it started in the Napa area where Albert and Kim moved their family in the early 90’s. 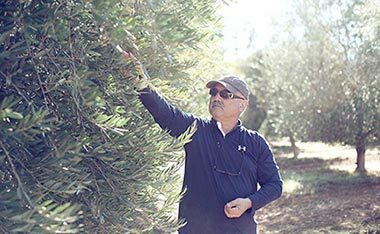 Quite serendipitously, Albert became one of the founding members of the California Olive Oil Council in 1993 and his future was beginning to take shape. In the late 90s, we met our farmer friend, Jim, and together we began our education of growing Tuscan and Italian varietal olive trees in California. 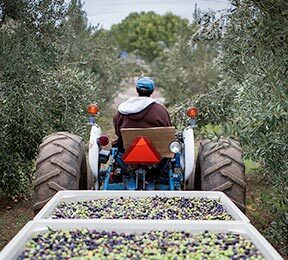 Now, more than a decade later, we have 30 acres of mature groves that are CCOF certified organic in the historic and agriculturally rich Suisun Valley. Our olive oil making skills have proven to be well honed as we have garnered 30 plus Gold Medals over many years of making our extra virgin olive oils. In 2011, we received the first ever "Best of the Best" Gold Medal at the Yolo County Fair, - out of more than 140 competitors. In 2016, we received many awards at the California State Fair finishing with the "Best of Show" out of 192 entries…very humbling indeed. We also are proud to produce Orleans Method vinegar in an historic stone Carriage House on our Rock Hill Ranch. These are recognized on the Slow Food Ark of Taste, and have received several Good Food awards. And last but not least, we offer field-collected honey from Northern California and the Pacific Northwest, and we make real fresh fruit preserves in our Napa kitchen. Kim and Albert remain committed to continuing their support and participation in the evolving sustainable food movement and as individual growers to the continued good stewardship of the land they farm.